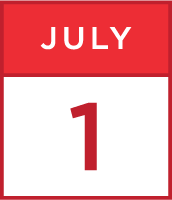 Friday July 1st: 9:35 - 10:15 a.m.
"Can You Turn a Cat into a Mouse? Results of a Randomized Clinical Trial of Schema Therapy for Forensic Patients with Personality Disorders"
Objective: In 2007, my colleagues and I undertook an ambitious study to investigate the effectiveness of schema therapy for forensic patients with personality disorders at 7 Dutch forensic hospitals (“TBS clinics”). The goal of the study was to determine whether schema therapy (ST) could outperform treatment as usual (TAU) in reducing recidivism risk, personality disorder symptoms, early maladaptive schemas, and schema modes, and promoting the process of “resocialization” in which patients are gradually reintroduced into the community. A key secondary question was whether the effectiveness of ST versus TAU differed according to patients’ baseline levels of psychopathy. Methods: One hundred and three patients were randomly assigned to receive three years of either ST (N=54) or TAU (N=49). All patients had DSM-IV Antisocial, Narcissistic, Borderline, or Paranoid Personality Disorders, or significant Cluster B traits (PD NOS). Approximately 50% were considered psychopathic, based on a PCL-R score >= 25. Assessments were performed every 6 months for the duration of the study, using measures that were independent of patients’ self-reports for all main variables. Results: Data collection was completed in August, 2015. In this presentation, the definitive results on the study’s main variables will be presented for the first time. Discussion: This study is the first and only of its kind to investigate the treatability of forensic patients with personality disorders, including psychopaths, using a methodologically adequate design. The results may have profound implications for our ideas about the effectiveness of psychotherapy for this population, and for ST in particular. 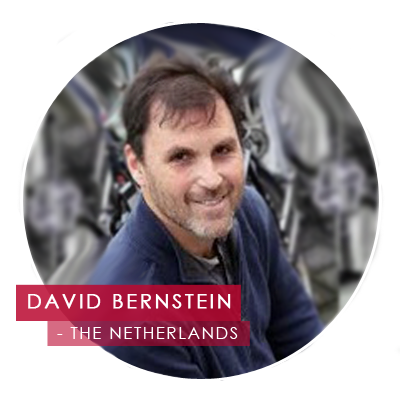 David P. Bernstein, Ph.D. is ‘Professor of Forensic Psychotherapy’ (endowed chair) at Maastricht University and Forensic Psychiatric Center ‘de Rooyse Wissel.’ He received his doctoral degree from New York University in 1990. He joined the faculty of Maastricht University in 2004, where he served as Chair of the Forensic Psychology Section in the Faculty of Psychology and Neuroscience from 2011-2015. He is a former Vice-President of the International Society for Schema Therapy, and is a past President of the Association for Research on Personality Disorders. His research spans a wide range of areas, including forensic psychology, psychotherapy, personality disorders, childhood trauma, and addictions. He is an internationally known expert on Schema Therapy, an integrative psychotherapy for personality disorders. He is the author or co-author of more than 100 publications, including Schema Therapy: Distinctive Features (Rutledge Press) and Schema Therapy: Working with Modes (DVD series; www.schematherapy.nl). He is also the author of the Childhood Trauma Questionnaire, the most widely used retrospective measure of child abuse and neglect. His current research focuses on developing, testing, and implementing innovative forms of therapy for patients with personality disorders.